Motto: Ba bhuadhach ár sinsir romhainn. The Federated Dhíall is one of the Member States of the Valanian Federate and a page. Situated in the north-west of the island of Faeland on the Dhíall Peninsula, whence it's named. The Dhíall shares a border with the Ríocht Fíl from the southwest to the northeast and otherwise faces the Atlantic Ocean. Dhíall consists of counties populated largely by descendants of Irish settlers. It was created as a distinct administrative region of the United Kingdom's Faelish colony on XXXX though its constitutional roots lie in the post-revolutionary period. As a Page on the extremity of Faeland, the culture of Dhíall has long been associated with the Irish migrants who largely absorbed the native inhabitants. The Dhíalleen are distinct from the area's vanished indigenous people. Dhíall is known for its senior football team. Football is the dominant sport in the country (and V.F. ), and Dhíall has the most successful of all football teams; the Dhíall footballers have won the National Cup 27 times. The territory of the Dhíall has a long history stretching back long before the arrival of the Irish groups who manifested the current ethno-political entity that exists today. For most of it's history, the piedmont which lies northeast of the Rhomines was under the dominion of the Kingdom of Calchir. In short, the Calchiri were historical enemies of the Viriducian Empire. Safe in their highlands, tested in battle, the Calchiri had little trouble controlling the foothills to their rear. Facing onslaughts after the fall of the Viriduci from the Celts and then the Alnish, Calchir managed to survive for centuries. Much later, with the overwhelming strength of the colonizing British penetrating the tired kingdom whilst Irish settled their rear -displacing locals all to eager to end their status as virtual helots- the throne capitulated and became a client kingdom to the British Biscayne Company. 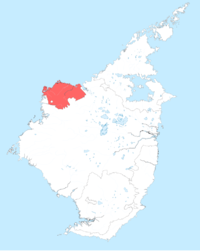 The Federated Dhíall is a confederation of provinces, which have their own governments and are independent, and a number of federally administered Generality Lands. These latter are governed directly by the Counties-Corporate, the federal government. The Counties-Corporate are seated in Kilgare and consist of representatives from each of the Provinces. The provinces of the confederation are . Each province is governed locally by Councils; the main executive officials are called Stewards, who stand as elected custodians of the Province's sovereignty. The Stewards are freely elected by and subordinate to the Councils of each Province. Voting in Dhíall is the process by which citizens make decisions about governance and elect officials. Voting takes place over the weekend, giving ample time for all citizens to review the material. At midnight Sunday, voting ends (for mail-in ballots, votes are still counted if postmarked before that date). Dhíall's voting system is unique among most modern democratic nations (except Faeland itself), in that it practices direct democracy, in which any citizen may challenge any law at any time. In addition, throughout all counties all votes are cast using paper ballots that are manually counted and kept archived for fifteen years. Approximately four times a year, voting occurs over various issues; including plebiscites, where policies are directly voted on by people, and elections, where the populace votes for officials. These votes take place during the weekend. State, county and civic issues are polled simultaneously, and the majority of people cast their votes by mail. Only about 45% of all eligible citizens typically cast their votes, but controversial proposals have seen higher turnouts. Due to the success of the system, several other Member States are seeking Dhíall's help to implement similar systems in their processes. Situated in the north-west of the island of Faeland on the Dhíall Peninsula, after which it is named. Kohlmerc Island is the only territory of the country not connected to the mainland. This page was last modified on 30 January 2017, at 14:40.